What Do You Most Do With Yours? You know, whatever that thing is that you carry around with you everywhere? I call it a Personal Mobile Device (PMD) as you could be packing a smartphone, a cell phone, a netbook or laptop. Almost everyone has something they keep with them at all times to keep them connected. I want to know, what DO you do with yours? I’m serious. I hear so many people ooze over their particular brand or the appearance of their thing; I’ve even had people get down right condescending just because I do not use the same device. So I want to know, what do you use your PMD for? Yep. 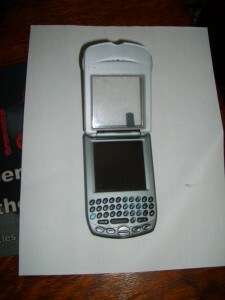 That’s a Treo 270 folks. Huge! When you flipped it up, it was like putting a whale up to your head. This was in 2001 – when every other electronic device was getting smaller too. Anyway, those episodes turned out to be a good thing. 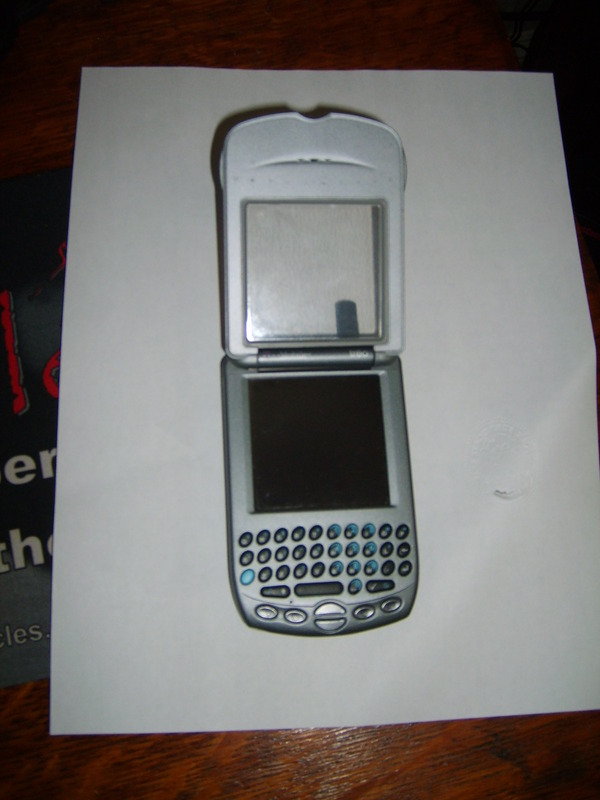 It was one more reason for me to treat my Treo as the device I had planned it for all along (and all I really wanted from it) – access to e-mail on my person. This was when I was still a solo and personally worked for several attorneys. My processes were set up so I would get notified of any incoming jobs via e-mail. From the size of the file and the fax number sent (back then it was all fax), I could better plan when I needed to be behind my keyboard. Back then I also had only one kid – but I was about to have another right after moving from a renovated Levitt Cape to a 1924 Colonial that literally needed a bones up renovation. 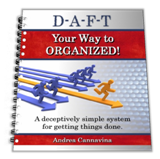 I tell you this because I HAD TO be as efficient with my time as I could and being connected to my e-mails through my PMD kept me fully in the know. Now, I’m still a Palm girl. Have a Pre – but am looking forward to testing the Pixi. But this isn’t about me. It’s about all of YOU reading this. I know you have one and I don’t care what type of thing it is – what do you DO with it? E-mail; calls; surf the web; listen to music – all of the above and more? Can you leave me a comment with what you do with your PMD? If you can also provide carrier and model for context, muchly appreciated! * Do you have any device specific apps you couldn’t live without? * Is your information routed through any third party servers – such as RIM, your carrier’s network or Google? * Do you have an unlimited data plan that includes texts? This entry was posted in Andrea C on January 22, 2010 by Andrea.